A nightmarish scene unfolded in front of Rev. Gerison Ezekiel Killa. Shouting and gunshots rang out from the bushes that flanked the Benue River. Fellow villagers flung themselves into the river’s murky depths to escape the bullets. Bodies lay everywhere. Knowing very well that he could not swim, Rev. Killa made the choice. He joined his brothers, jumping into the icy depths. Rev. Killa’s family, his beloved wife and six children, never saw him again. He was one of 27 people who drowned when Fulani militants tore through five Christian communities between September 13 and 16. They attacked under the guise of nightfall, waiting for the village to let its guard down. Many, like Rev. Killa, made a hard decision that night. This pattern of nonresponse from the government has become the norm for Christian communities across Nigeria. 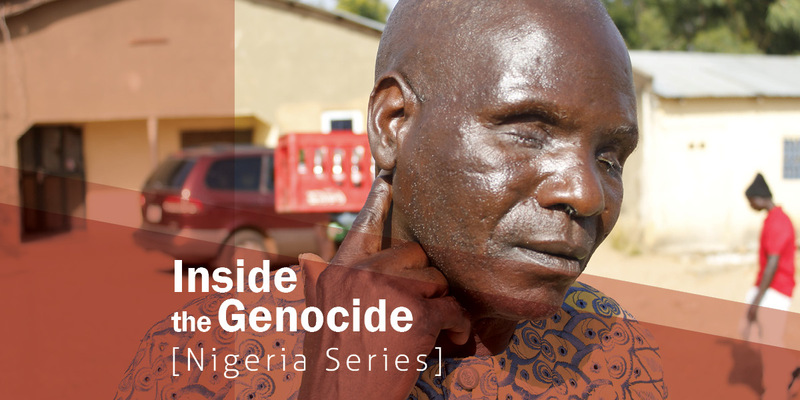 International Christian Concern tracked the number of deaths at the hands of Fulani militants in 2018, noting at least 1,900 deaths with thousands of others injured. As Nigeria’s presidential election rounds the corner in February, it is time for President Buhari and his administration to be held accountable for the thousands of lives taken by Fulani and Boko Haram militants in 2018. The government has ignored the plight of the Christian farmers in Nigeria for too long. Though the conflict between Muslim Fulani herdsmen and Christian farmers predates President Buhari, the conflict escalated out of control under his governance. Here are 20 instances in 2018 when the Buhari administration failed to act in a situation of crisis, resulting in death or hardship for hundreds of Christians across the country. Twenty-seven people, including a pastor, drowned while trying to escape Fulani attacks by crossing the Benue River in September. A local pastor said that even though many could not swim, they were more afraid of the gunshot sounds than the threat of the dangerous river currents. More than 45 were injured from the attack itself. Two young Christian boys (ages 9 and 10) were tending to a herd of cows when Fulani militants attacked in mid-September. Their bodies were later found with bullet and machete wounds. Government Response? Local police halfheartedly searched for the killers. It is unlikely that they were ever found. Villagers in the small farming community of Jiri are now refugees after a brutal Fulani attack in June. The militants destroyed church and home property. Forty-seven houses in the 350-person village were destroyed, with many left homeless. Government Response? The attackers successfully fled after destroying the village. Soldier came to confront the militia but were supposedly overpowered by the superior firepower. Fulani militants killed seven innocent farmers in Kaduna and fled the crime scene in November. Nine churches were ignited in broad daylight when Fulani assailants set the Shimba and Shiure villages on fire in February. Government Response? The government did not punish these actions. Two days later, the Tinde and Dumne villages were invaded by the same forces. At 7 p.m. on February 4, eyewitness accounts say that a mob of Muslim students stormed the classrooms and hallways at the Modibbo Adama University of Technology in Adamawa state, chanting “Allahu Akbar.” Muslim students proceeded to attack, kill, and injure Christian peers. Government Response? The university chose to close down after university management condemned the violence. The government did not intervene. Fulani herdsmen attacked a local morning mass in April, slaughtering 17 parishioners and two priests at Saint Ignatius Catholic Church in Mbalom. The parishioners were still filing in to worship when the attackers struck. Government Response? The invaders successfully fled the scene of the crime, eluding police officials. The town of Rawuru in Barkin Ladi ran red with the blood of saints when Fulani militants murdered 230 Christians there in June. Government response? The perpetrators were not held accountable for their actions. Boko Haram terrorists attacked three villages in Borno State in September, killing 10 individuals and injuring a dozen others. They also set fire to the villages and escaped with stolen goods. Government Response? Historically, Borno state has been an unsafe region for Christians (see Chibok girls). However, the resurgence of Boko Haram in 2018, coupled with the government’s limited counteractions to help Christians, has exposed vulnerable Christian communities in Borno state to even more violence. Fulani militants attacked a group of Christians from Ancha Baptist Church in Ancha, Plateau State, Nigeria in September. The villagers were returning home from a trip to Miango, the largest nearby town. Two people were gunned down immediately, while another five escaped with various injuries. Government Response? No action was taken. While the community of Ariri slept, Fulani militants invaded and took 19 lives in October. Government Response? This is just one of several Fulani attacks in the Plateau state within a three-week period. Government response was not sufficient enough to dissuade the Fulani from attacking. Fulani assailants murdered four people and burned 35 houses to the ground in Nkiendoro village in Bassa Local Government Area of Plateau State in November. Government Response? The perpetrators have not accounted for their crimes. Boko Haram released a video depicting the execution of Hauwa Leman, an aid worker with International Committee of the Red Cross in Nigeria. In the video, Hauwa is kneeling down on the ground. Her face is masked by a hijab, and her hands are tied. The militants proceeded to execute her on camera, as a warning to the government to give into their demands, including a threat to the missing school girl Leah Sharibu. Government Response? Not long after, the government visited Leah Sharibu’s family. The family was hoping that the government would promise to find and free Leah, but instead they made up excuses. Leah still has not been reunited with her family. Boko Haram does not just attack established villages. At least eight IDP refugees were murdered by militants after an attack on a refugee camp, with eye witnesses claiming that 13 people were killed in late October. Several women were reported missing after the attack, and some fear that they were abducted. Government Response? The Nigerian government effectively created a refugee crisis by refusing to amass defensive forces against rogue militants. Now, it cannot even provide adequate support for its own refugee people to fend off attacks. The Nigerian village of Dogo Awo village has been raided so many times by the Fulani that they’ve come to expect it each year. They’ve destroyed rice, beans, peppers and other essential crops. Government response? The incidents have been reported to local police, but no action was taken against the militants. Militants again returned to Dogo Awo this past November, but this time they were after more than stalks. They attacked the people. Government response? The problem was never dealt with, and as a result the community shattered. Many Christians left the area to seek shelter and security elsewhere. This past January, Boko Haram terrorists waited for the Kaya village in Madagali Local Government Area of Adamawa State to fall asleep. When the moon rose and the people retreated into their homes, they attacked, killing at least five people. Government Response? Thanks to the aid of local hunters (not government affiliated), three terrorists were apprehended and one killed. Armed Fulani militants killed seven Christian villagers in the town of Rawuru in Barkin Ladi Local Government Area of Plateau State, Nigeria on the day after Christmas. According to State police spokesman Tyopeeve Terna, the victims were on their way home from a birthday celebration when they were ambushed and slain in cold blood. Government response? So far, justice has not been served. The killers are still at large.